Ancient Amulet presents a Sacred Pra Somdej amulet in Sacred Nuea Wasana Jinda Manee Powders with Khamin Sek Sacred Cumin Powders, from four generations ago, and a most powerful and rare amulet of the Great Master Monk of Olden Days, Luang Phu Perm (2429 - 2526 BE) of Wat Klang Bang Gaew, in Nakorn Pathom. An olden days classic, of immense rarity, from the second of the four Great Masters of the Wicha Luang Phu Bun Lineage, in sacred Ya Wasana Jinda Manee Powders. The amulets of Luang Phu Perm enjoy the same level of appreciation as those of is predecessor and Kroo Ba Ajarn, Luang Phu Bun, and are amongst the most highly sought after, and difficult to find. followed the World Famous Dtamra Wicha Saiyasart the Great Luang Phu Bun, of Wat Klang Bang Gaew, inheriting all of the Wicha from Luang Phu Bun, and Mastery of the fomulas of the special and famously powerful Muan Sarn Sacred Powders of Ya Wasanaa Jinda Manee, and Ya Khamin Sek. These two powders, along with a large number of classic Buddhist Amulet models, and of course the Bia Gae Cowrie shell amulet, are special Wicha, for which the temple of Wat Klang Bang Gaew, and the lineage of the four last abbots of the temple are all world famous for. The Pong Ya Wasana Jinda Manee of Luang Phu Bun has become almost mythological in its fame for the powers it contains, and is one of the main Muan Sarn Sacred Powder substances used in the amulets of all Masters who came before and after Luang Phu Bun at the Temple of Wat Klang Bang Gaew, beginning with Luang Por Bun, Luang Por Perm, Ajarn Bai, Luang Por Juea, and onwards to the present Abbot, Luang Por Kong (Sanya). The Wicha Pong Ya Wasana Jinda Manee is considered to be synonymous with the temple of Wat Klang Bang Gaew, and it is common knowledge that this is an inheritance from the great Luang Phu Bun. The Pong Ya Wasana Jinda Manee Muan Sarn Powders of Luang Phu Bun (also known as 'Pra Ya Horm') is a very aromatic Sacred Powder, which uses of course the famous 'Ya Wasana. Luang Phu Perm remained abbot of the temple until his passing in the year 2526 BE, and was succeeded by Ajarn Bai, who was then succeeded by the next abbot in this lineage Wicha of Wat Klang Bang Gaew, Luang Phu Juea Bpiyasilo. Luang Phu Juea also passed away some years ago, and has been succeeded by the 4th abbot, Luang Por Sanya (Kong). A powerful continued Lineage of Masters have brought Wat Klang Bang Gaew to the Forefront of both the Ancient and the Modern Amulet Scenes, stretching back to the times of Luang Phu Bun, through the Era of Luang Por Perm, and the Great Luang Phu Juea Bpiyasilo, to its present Abbot, Luang Phu Sanya (Kong). The Kata Pra Somdej is one and the same as the Kata Ārātanā Pra Krueang, which is the proper prayer to use. 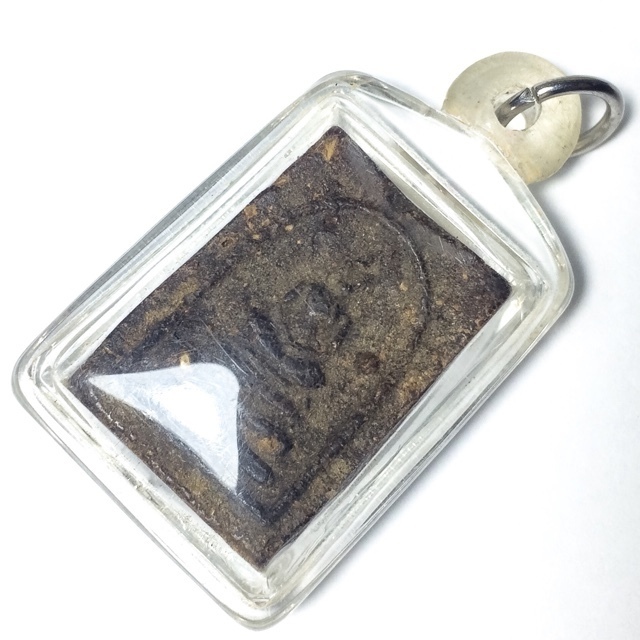 You can also use the Kata Jinda Manee Mont to invoke Maha Sanaeh Maha Lap power from the Ya Wasana Jinda Manee Muan Sarn Sacred Powders of the amulet.